According to a report out of Bloomberg, Google will introduce pretty cool new privacy controls at Google I/O this month, which is a fancy way of saying that they are about to let you pick and choose which permissions are given to an app before you install it. Over the last year, Google has continued to improve the clarity of how app permissions are presented in Google Play, so that users can decide quickly if they want to install an app or not. But if this report is true, you could in theory decide before you install an app if you would like it to access your location or not. Or maybe you don’t want it accessing your photos or contacts or microphone or call information. 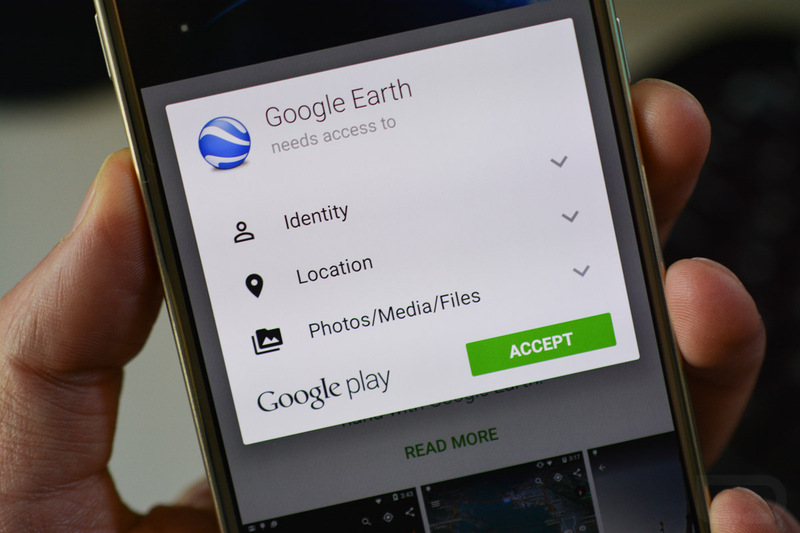 With this change, you would essentially be in control of what an app can access. That’s a big deal. Of course, this is just a report without many details, so until Google announces it with additional informaton, the end result could be much different than what we described here.